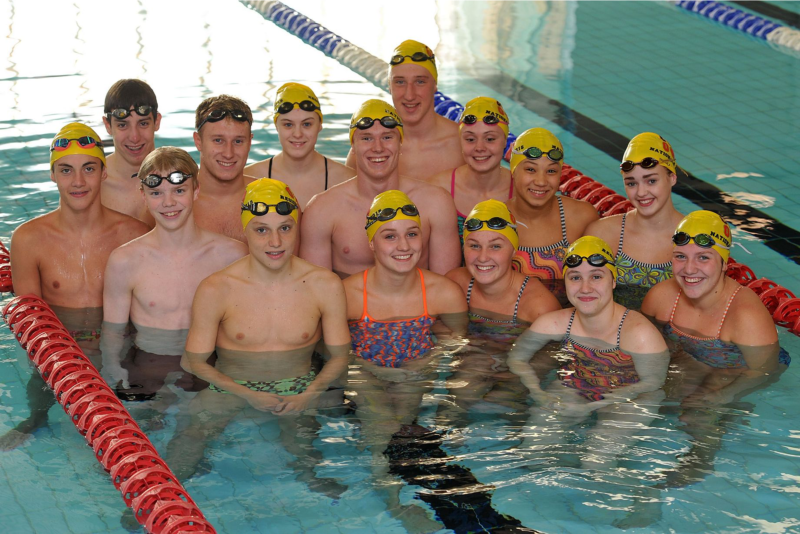 The Competitive Training Scheme (CTS) is managed by the Aquatic Development Manager/Head Coach of Salford Community Leisure (SCL) along with a team of Aquatic Officers and Coaches who deliver training to each of the CTS groups. 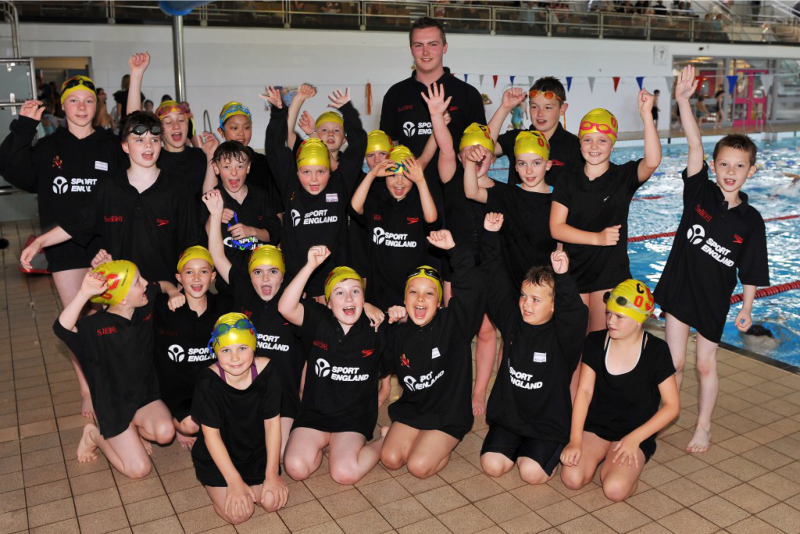 City of Salford Swimming Club (COSSC) is the competitive arm of the scheme and is run by a committee of volunteers. As a member of the scheme each individual trains in the SCL Competitive Training Scheme and then competes for the City of Salford Swimming Club. Academy groups feed into the community clubs or, if selected, the CTS where the Swimmer’s Journey continues into competitive swimming upon entry into the SS2 Groups. Progression is made into Talent ID groups and then the 3 Performance Groups – P1, 2, 3. The scheme commenced with just 13 swimmers, 7 in the “A” squad and 6 in the “B” squad, with a coaching staff of two, a chief coach plus a part-time coach. Bruce Lorrie was the Chief Coach – an ex-Scottish international butterfly swimmer and the “B” squad coached by David Cope. The first ever session was attended by David Cope Jnr, his brother and 5 others at Irlam Pool, moving over to Pendleton College soon after. Later in 1979 as the numbers increased and to provide a competitive arm for the scheme our club was formed giving parents increased involvement providing administrative support and fund raising for the swimmers and coaches. The Clubs original name was Salford Triple S, the club being renamed in 1986 when the Sports Development Section of Salford Art & Leisure joined in partnership with Manchester United Football Club to form a Sporting Trust which included the seven sports covered by the Sports Development Section. The name Salford Triple S came about through a contest organised by Bruce Lorrie, where swimmers handed in their designs for the club name and kit. Mike Wooley won with the Salford Triple S design. The aim of this partnership was to give the Football Club a more direct contact with the community and for the scheme to carry a worthwhile sporting name of which the benefits could be far reaching. The sporting Trust was dissolved and was replaced by the Federation Trust, with a name change to the City of Salford Swimming Club taking place in January, 1997. The club like the scheme has continued to grow with numerous committees catering for all the activities of the club and needs of swimmers parents and coaches. The scheme has now developed into one of the largest in the country with over 200 members training regularly in 7 squads.